Do you like cider? Me too. I adore the stuff. Following on from the sad news of Rekorderlig not being vegan, I’m delighted to bring you details of a tasty brand out of the wilds of Cornwall. Vegan cider lovers can start looking on the bright side again. I recently stumbled upon this brand in a local brewery shop in West London. I picked up a bottle of the Blush flavour and was thrilled to see the word ‘vegan’ emblazoned across the back label. Every single product in the Cornish Orchards range is vegan and the flavours include such tempters as Gold, Vintage, Mulled, Pear, Heritage and even Alcoholic Ginger Beer. 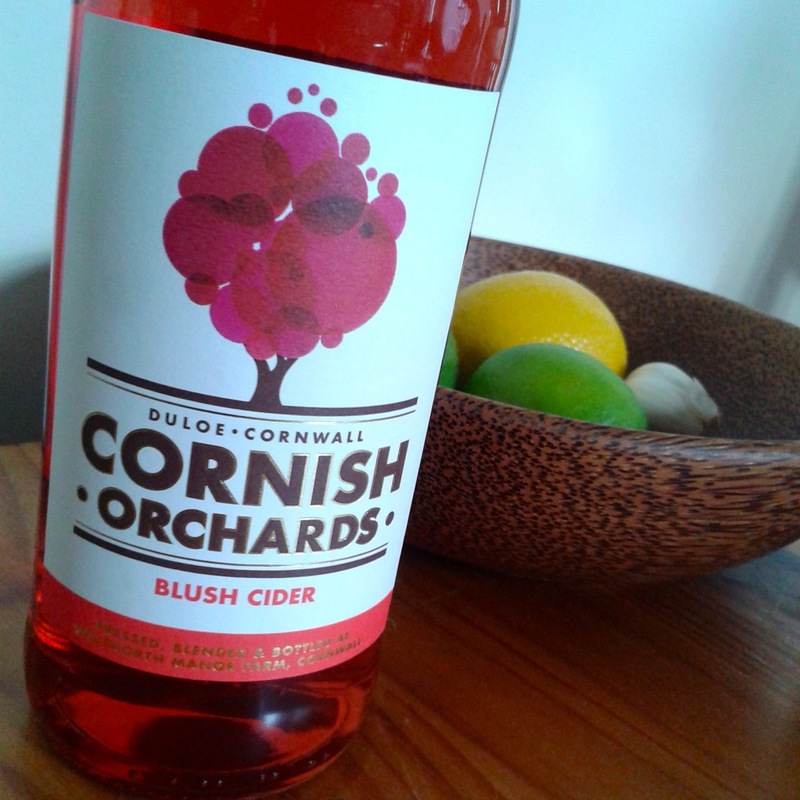 In further fab news, Cornish Orchards also produce vegan apple juice and sparkling fruit drinks. Great to hear after we discovered that several brands produce such drinks with the aid of gelatine. Drink vegan cider. Drink vegan juice. Just drink Cornish Orchards. Do tell, where in West London is this haven? In Chiswick but the brand must be everywhere now as I have even seen billboards advertising it. Not sure if you’re aware of this brand, but Old Mout cider is vegan, too. It hasn’t been in London that long and still isn’t that accessible (I get mine from Ocado, but it’s also in Tesco and Sainsburys). It has delicious flavours like Passionfruit, so it fulfils my fancy cider needs 😉 Well worth a try! I saw that in a pub a few days back but couldn’t find out vegan info about it online. I will chase it up!